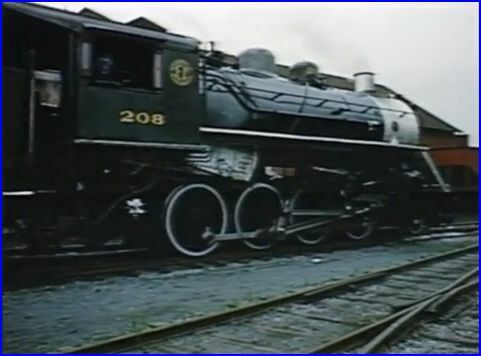 Various old steam is featured from the first half of the 20th century. Containing some rarities, an oddball film collection. 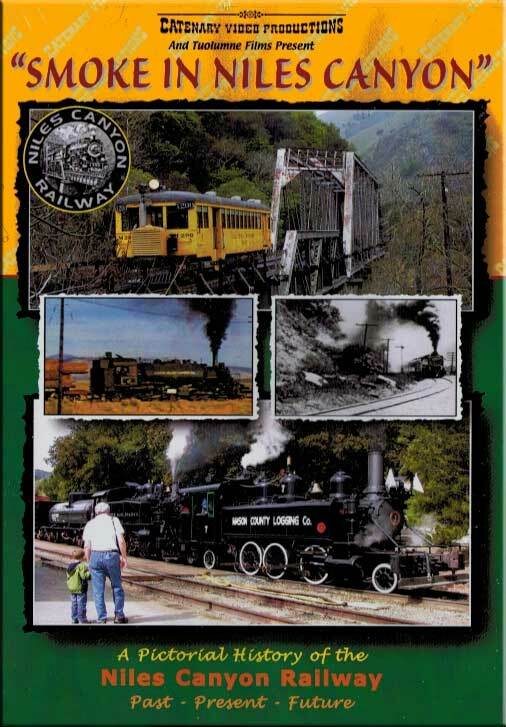 The emphasis is on rural, or woodsy railroading. 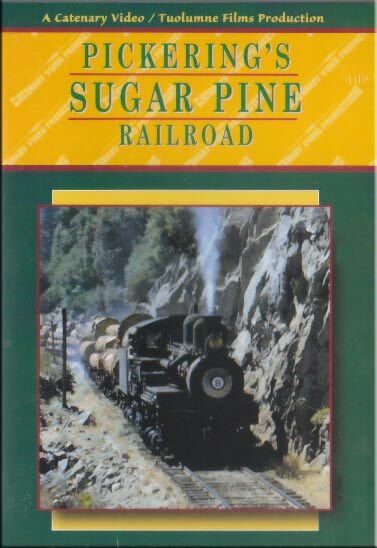 Title is not very accurate, unless you agree that: Consolidations, Mallets, Ten Wheelers and Decapods are ‘Teakettles’. Perhaps the odd title, is indicative of what to expect. 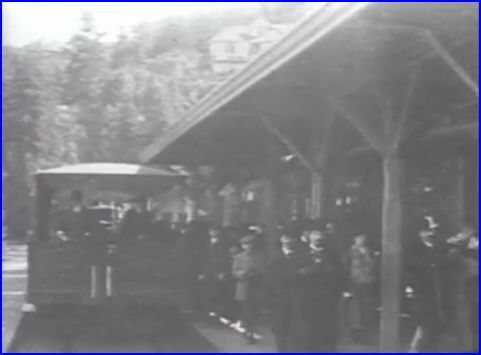 There is no sound – except the brief announcements of the scenes. The remainder are just silent movies. Annoying to have this format, with a 1994 production date. It is a deal breaker. That is too bad, the show does look good. A mixture of color, plus black and white film. The earliest source is Thomas Edison circa 1898 and 1906. 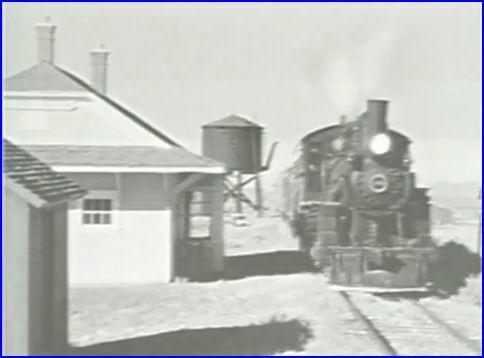 Other footage is late 1950’s to early 1960’s. Overall, good cinematography. Ted Dalaku performs his usual good narration. The script is fine and concise. 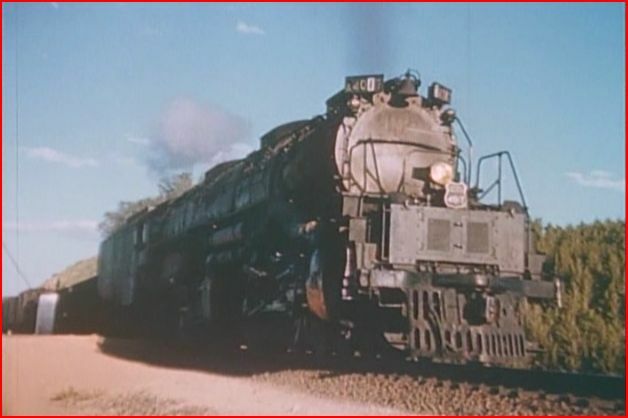 Brief mention of: locomotives, location and some line information. Viewers will receive a decent introduction to the subject. After that, you may think that your television has broken! An abrupt change to dead silence ruins the flow of the show- every single time. A strange production decision that feels cheap. ET&NWC aka The Tweetsie, leads off at Johnson City. 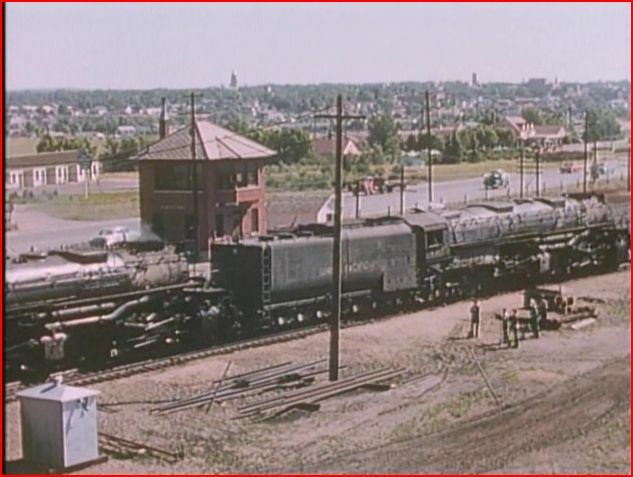 Two former Southern Railway locos are operating there. Not the best composition, but a quick look at the power. 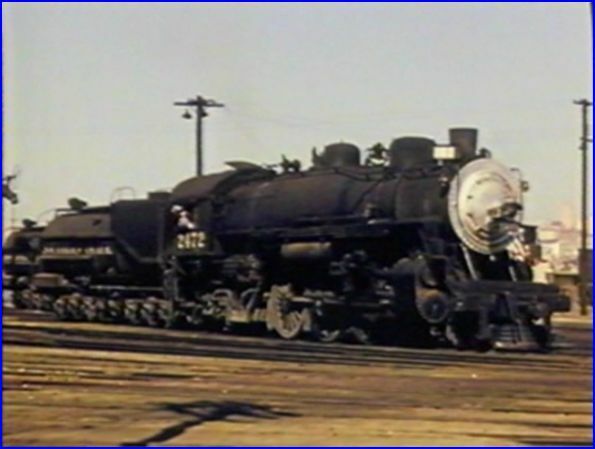 The Mississippian in the late 1950’s. Baldwin built power that was on Frisco. 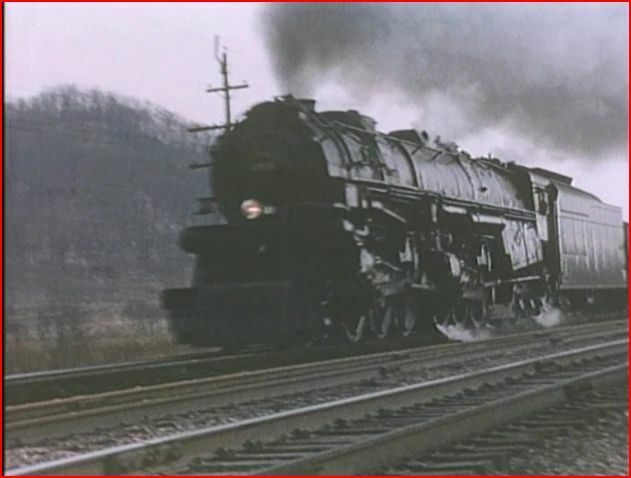 Number 77 is a 2-8-0 Consolidation. Excellent section that appears to be 16mm. Highlight and rare. 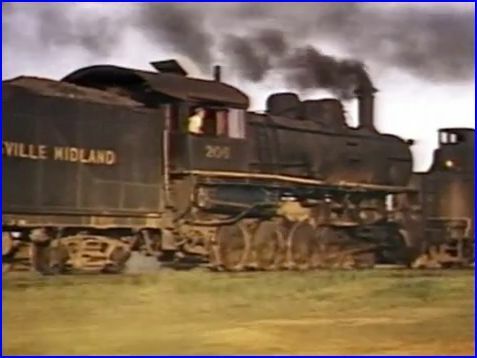 Gainesville Midland had 2-10-0 Decapods in service. 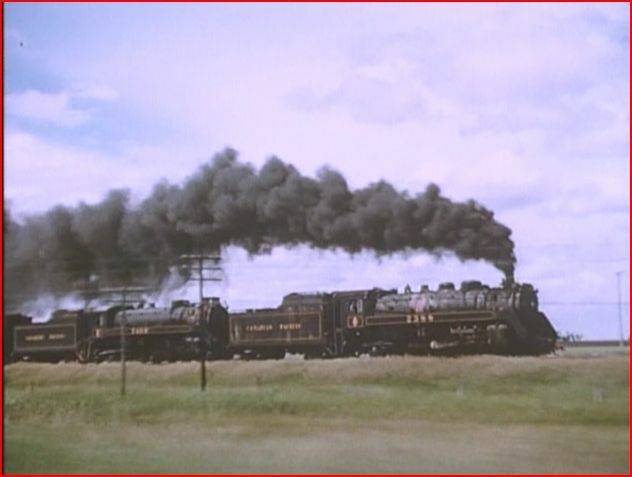 Different scenes and pacing with doubleheaded engines. 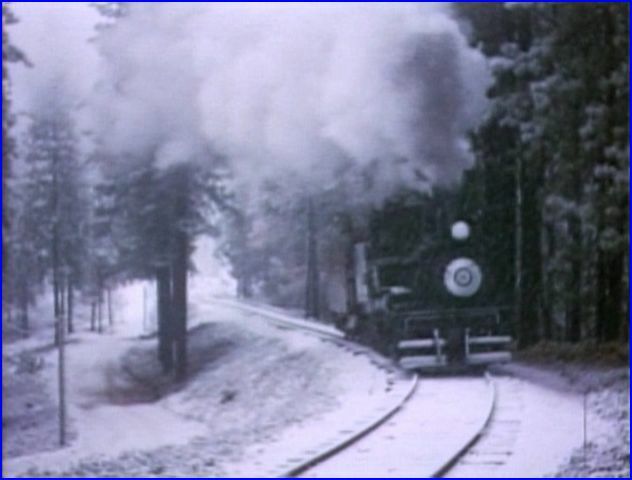 This rare material was shot in Georgia. 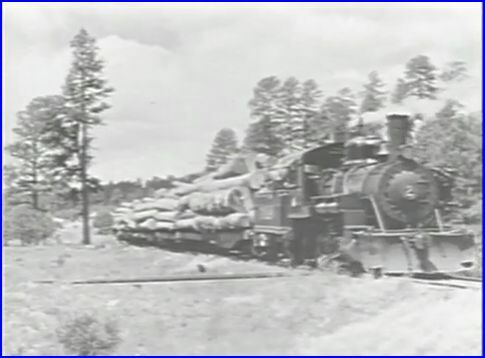 Southwest Lumber #2, at Flagstaff, Arizona in 1959. 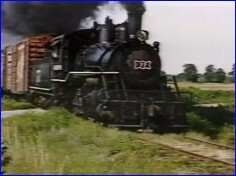 This ex: Rock Island locomotive is seen outside of town. 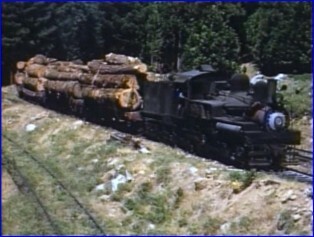 Rayonier is another logging line. Westside is the third line of logging roads. All three are in black and white. What is included in this program looks pretty good for the most part. 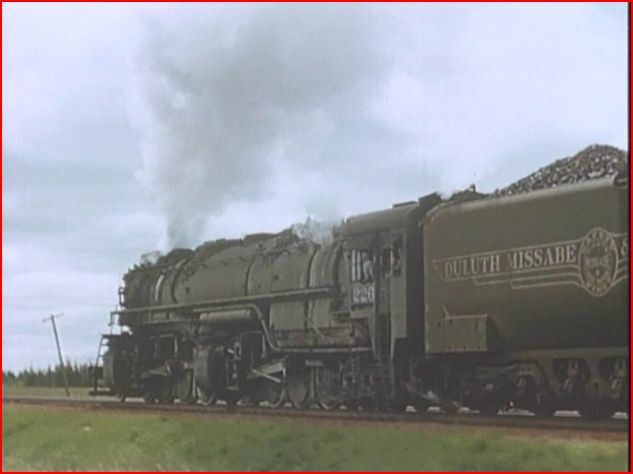 Note- if logging piques your interest, there are full shows available with plenty of color film. 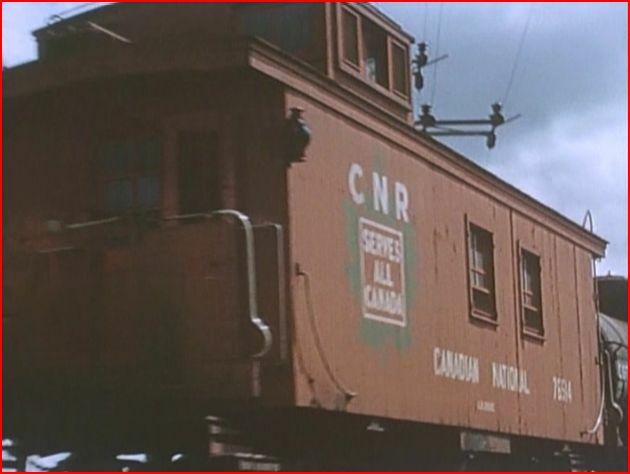 Nevada Northern ten wheeler passing through Curry, in 1962. 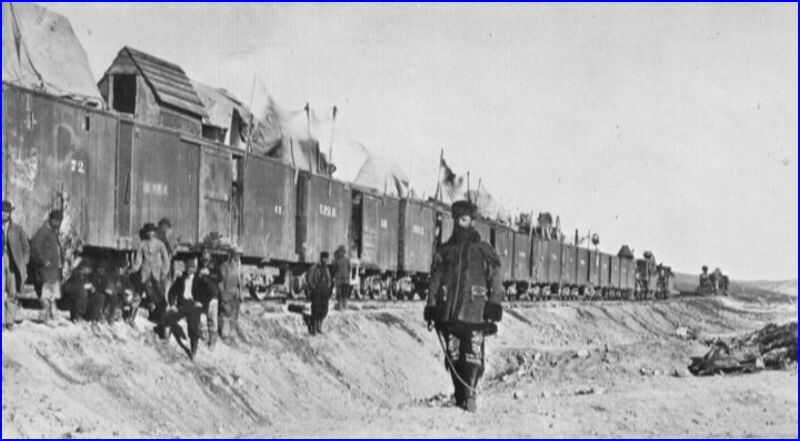 The Crookedest Railroad In The World is a fairly long closing subject. 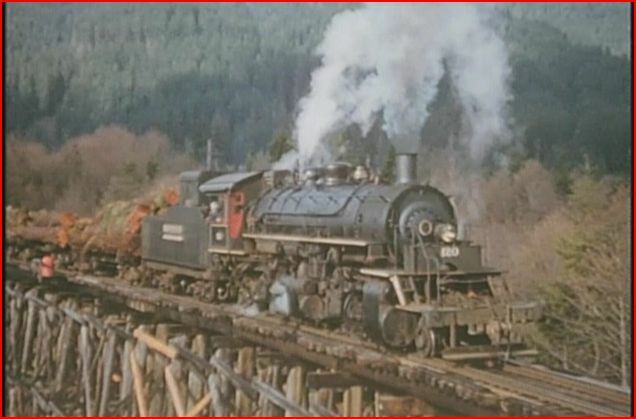 This consists of two films from Thomas Edison. 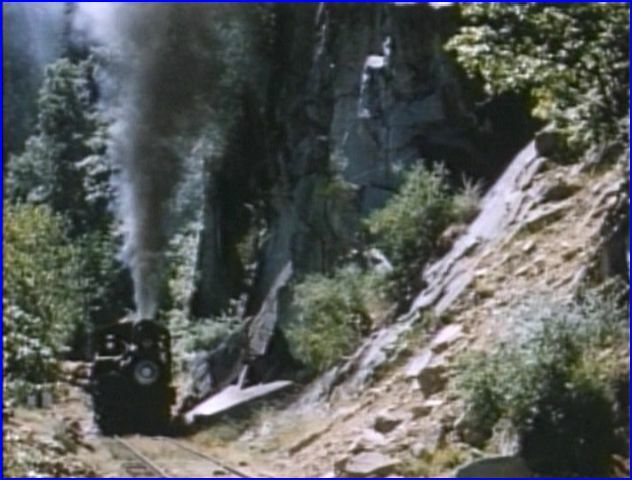 In 1898, we travel up the twisting trackage to a mountain destination that has tavern refreshments. 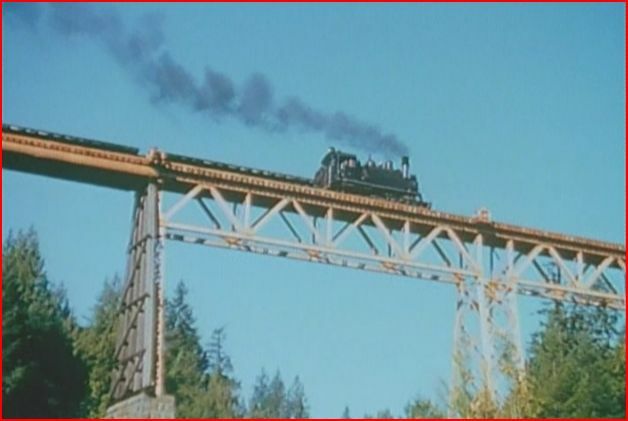 The 1906 footage is a gravity driven car traveling downhill, and following another train. Again, the long silence could have been improved. This show could have rated higher. 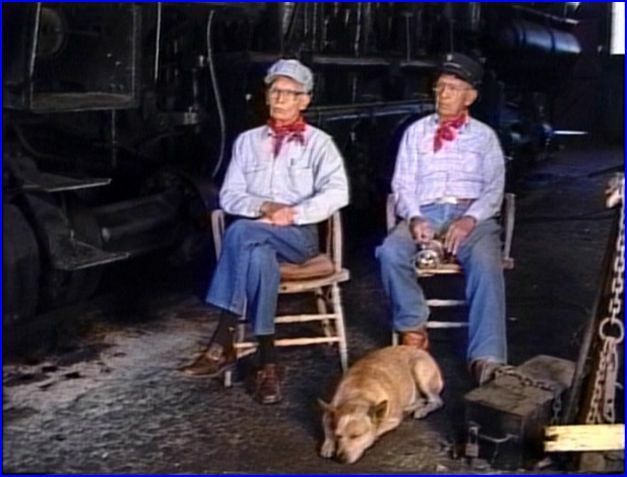 Considering the train video market, it does not compare well to most other shows from the 1990s. Complete audio is an industry standard, which is lacking here. Absence of a proper accompanying soundtrack is archaic. Heislers, Shays and Other Teakettles is a big disappointment. 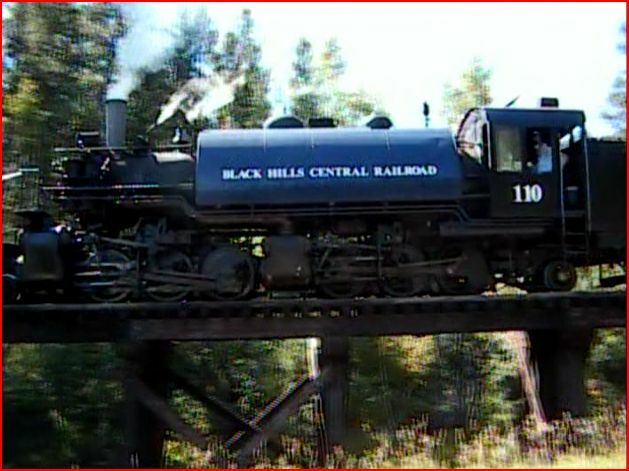 Black Hills Central has been hauling passengers on it’s scenic line, since 1957. 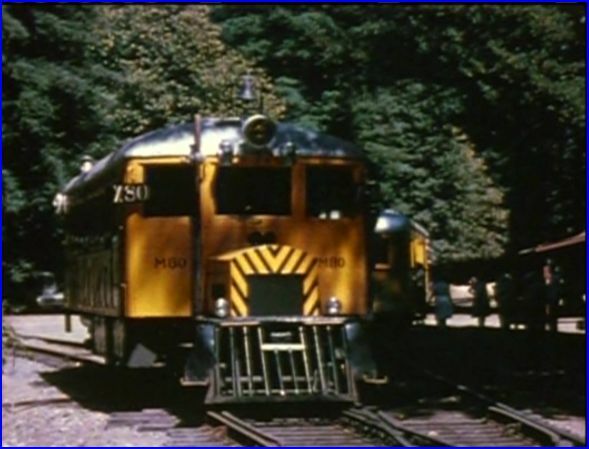 The featured locomotive, #110, is the only operable compound mallet in the USA. 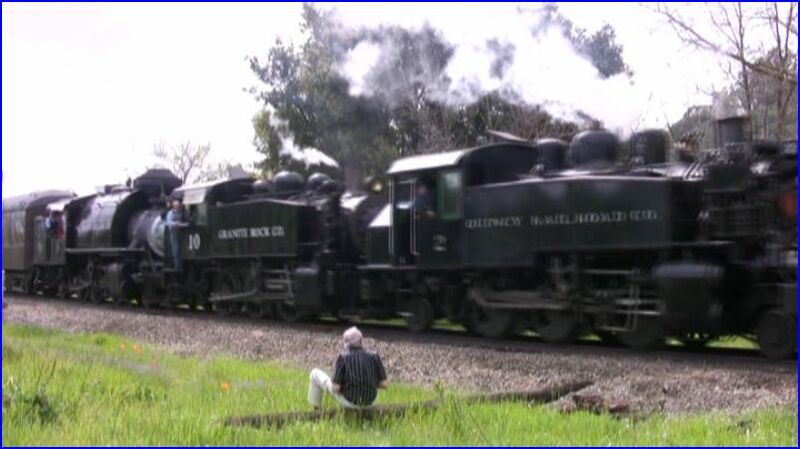 This is one of the oldest tourist lines in the United States. Mary gives a good history in the narrative. Baldwin built in 1928. 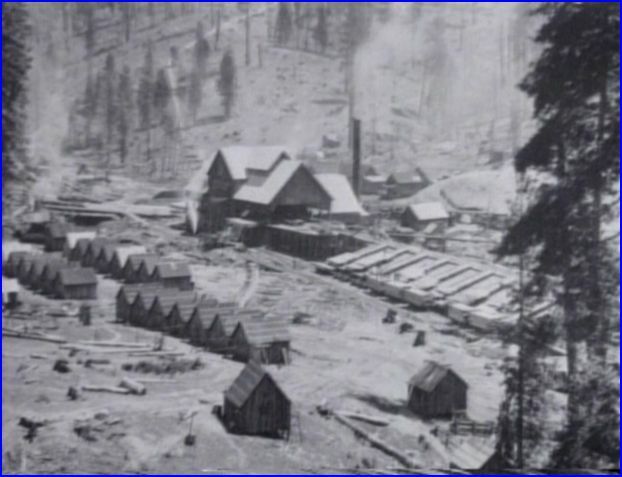 Weyerhauser Lumber was the original owner. 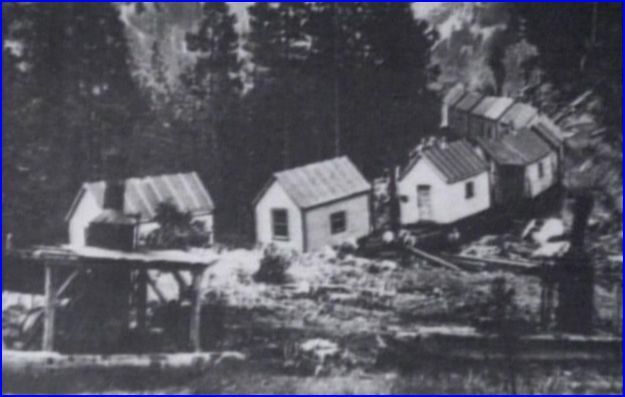 Rayonier was the second owner, another logging line. 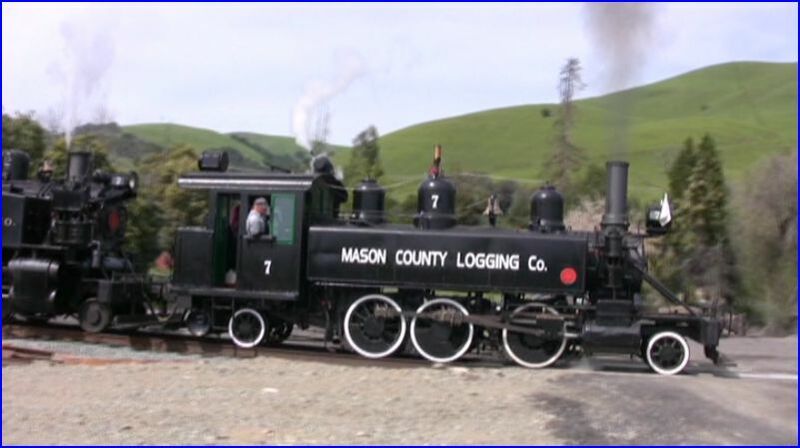 This logging lines engine had always worked in Washington state. 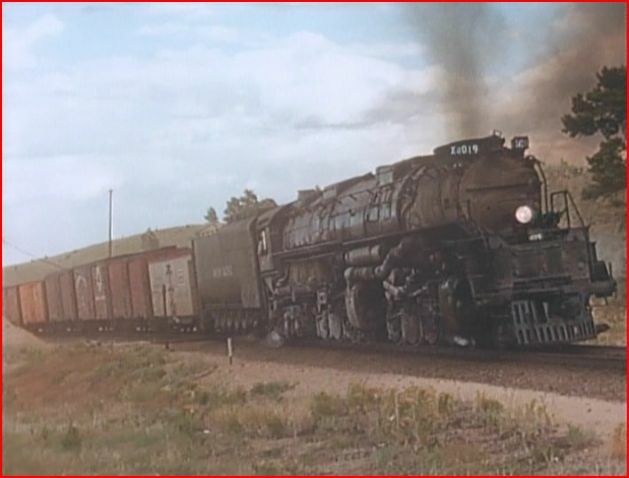 Weighs 111 tons. Most of those pounds are over the drivers. 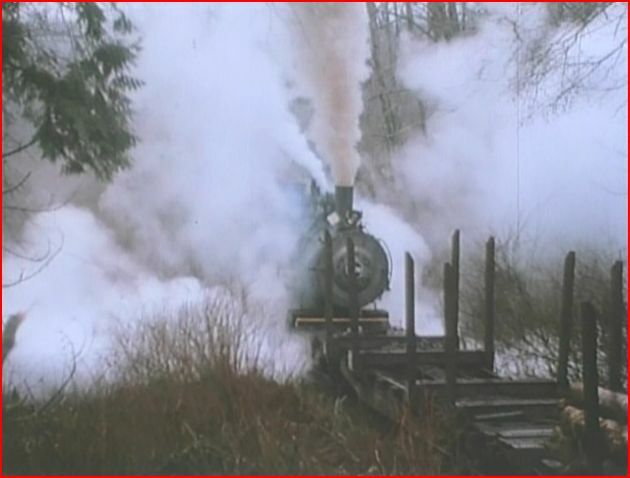 Steam is used twice with 2 boilers. 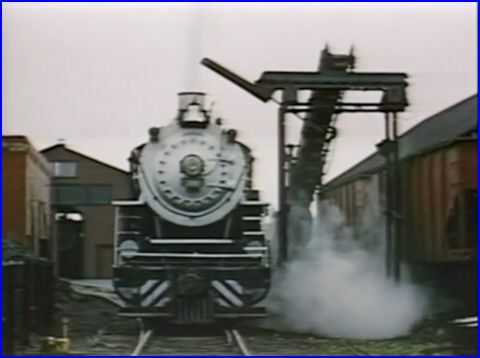 The secondary boiler reuses the steam at lower pressure. 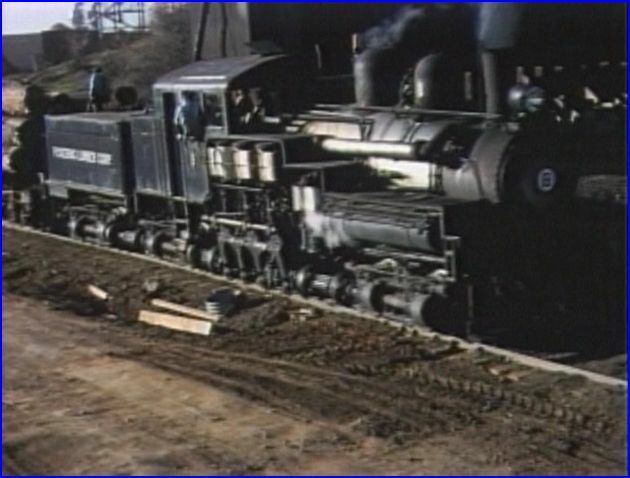 By the way, 2-6-6-2T… the ‘T’ stands for tanker. 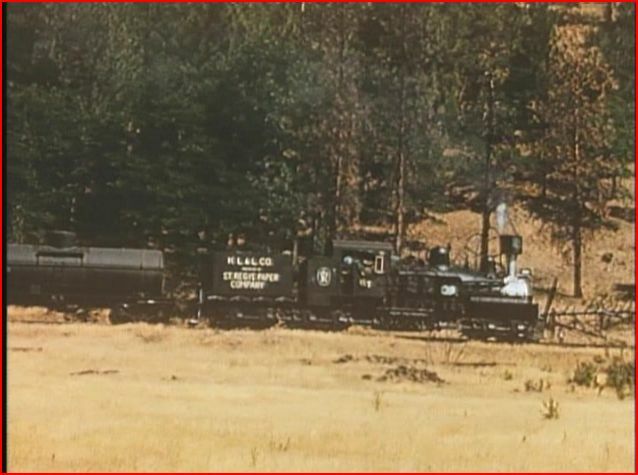 No water in a separate tender. 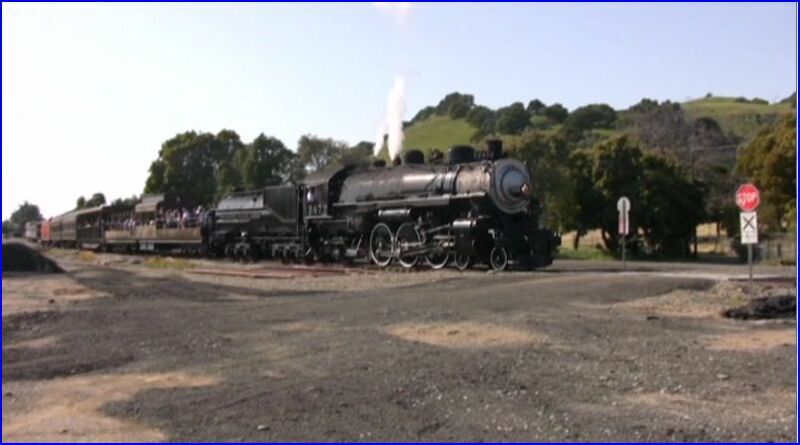 This is a one piece locomotive. The water is in the tank, mounted on top of the boiler. 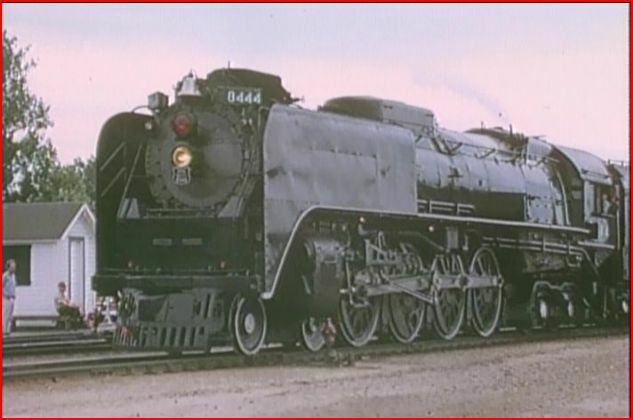 Purchased in 1999 from State of Nevada, and returned to service for the 2001 season. The look at the 110 starts with the engine being warmed up and serviced before the days work. The weather is clear and there is plenty of sunshine. 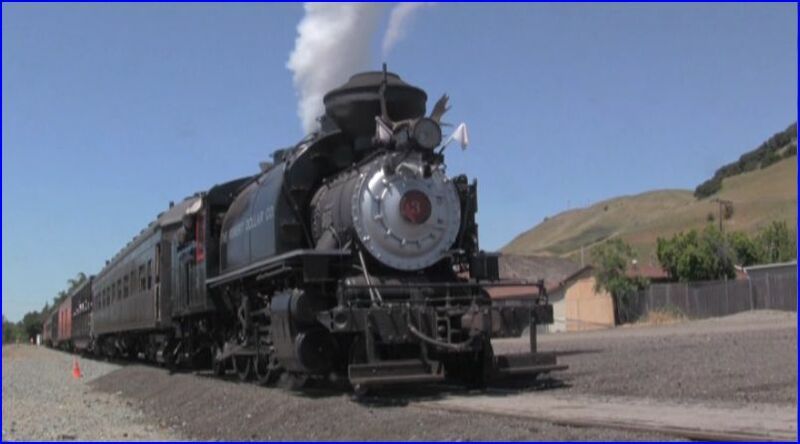 Bright sunlight is great to illuminate the dark locomotive and it’s complex running gear. Mary gives viewers a nice, balanced narrative. 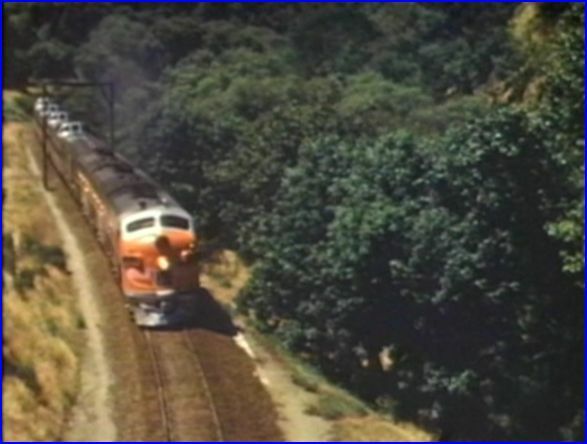 Natural environmental audio contains the 110 as it is working the route. The soundtrack is excellent! No map or chapter menu. Use the next button to access the chapters. The DVD is packaged in a slimline case. 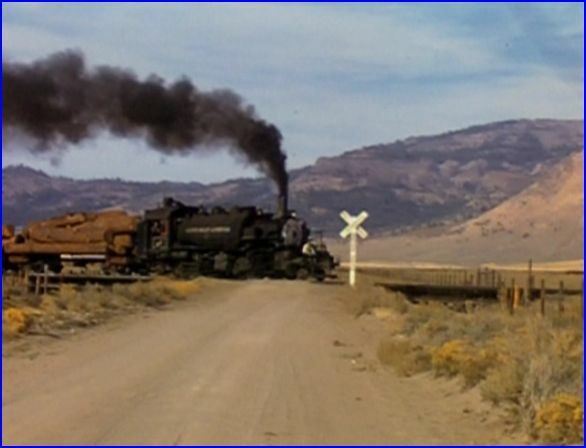 The train gets the highball and departs Hill City…. 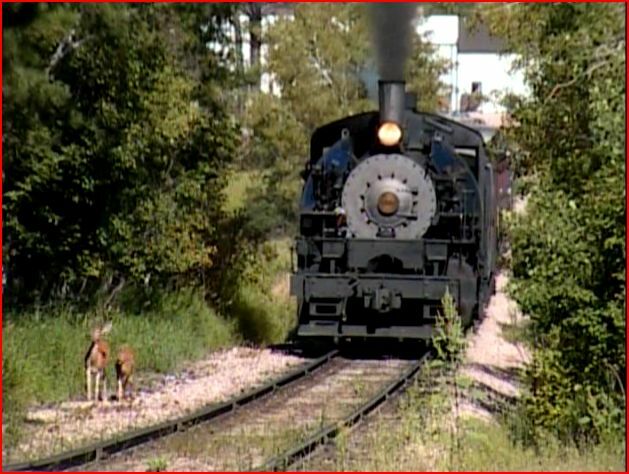 Tin Mill Hill,and the train encounters some local wildlife along the track, on the 4% grade. 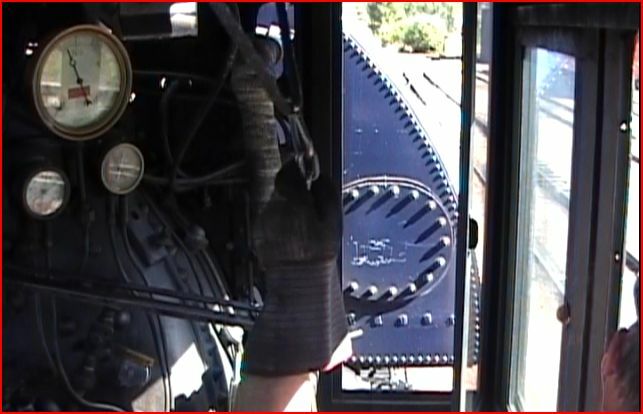 There are some views within the cab of engine 110. Too tight to see much. An occasional glimpse is all that is needed here. 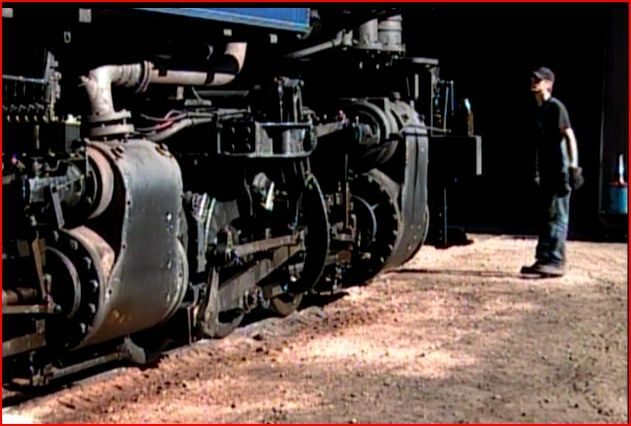 We can watch the engineer control the throttle and steam whistle cord. 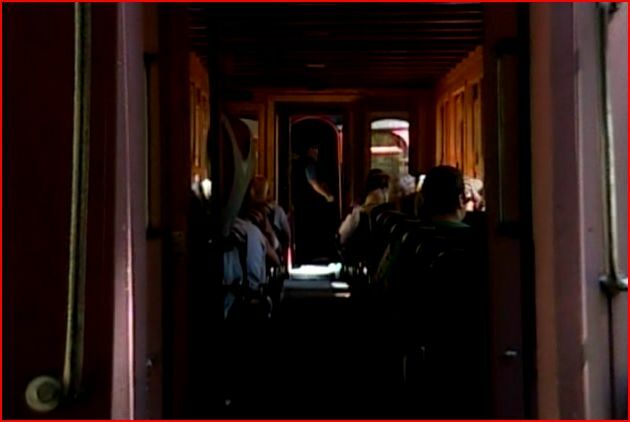 This is the cab scene, and not too much timer is spent on this. 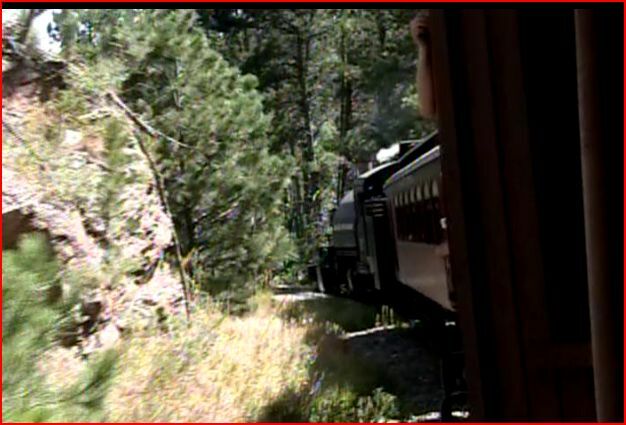 Onboard a coach, the train and scenery are combined in a pleasing manner. Ground level shots are sweet. Smart camerawork with high and low angle shots added. Editing is the key. Multiple viewpoints are well-balanced, and the pacing is just right. 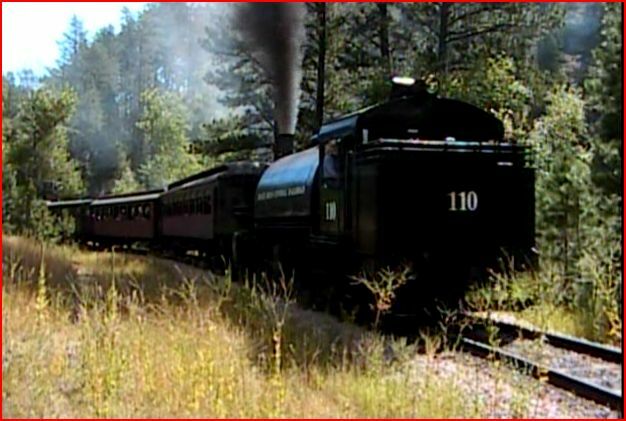 Beautiful scenery as the train navigates through the hilly forest. 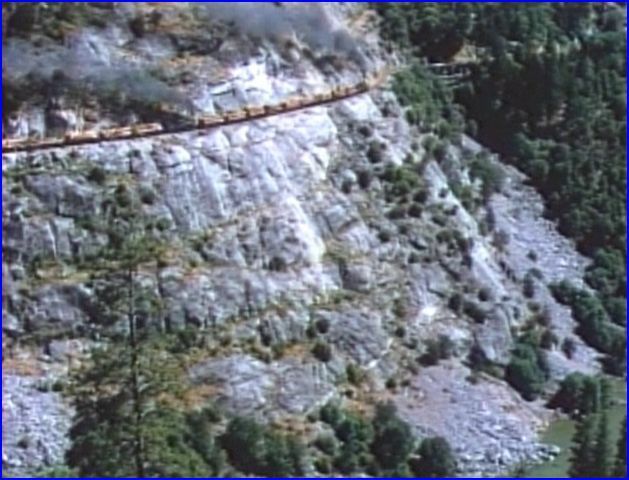 The twisting line is reminiscent of those old logger railroads. 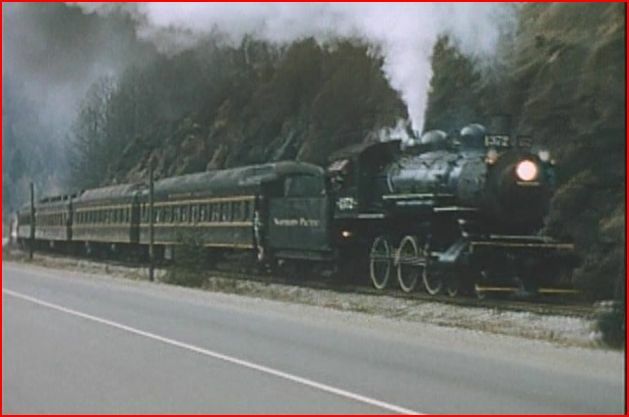 A detailed map of the trackage would have been a big asset. 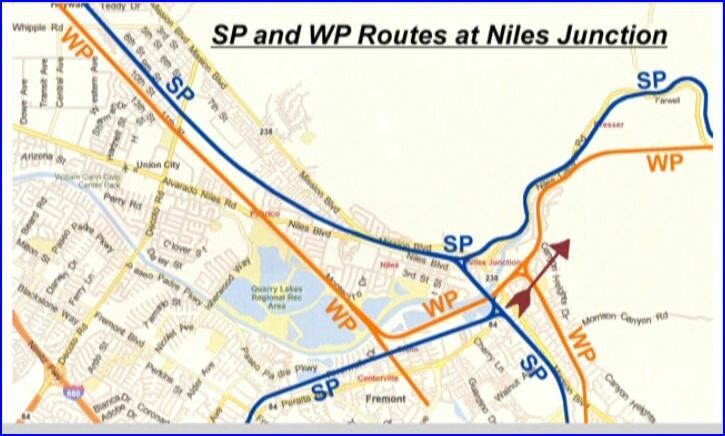 Granted, it is an out and back roundtrip. 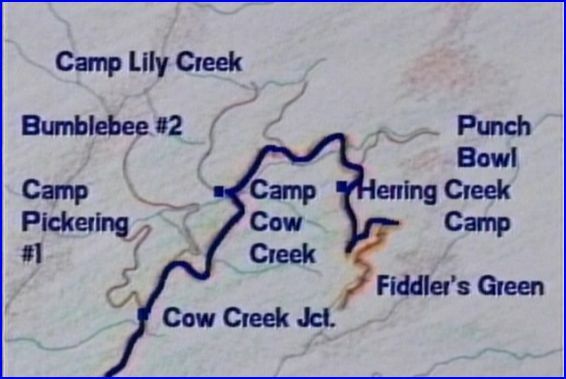 Just would have liked to see the twisting line, from a map overview. Arrival at Keystone seems to come quickly. Time flies when you are having fun! 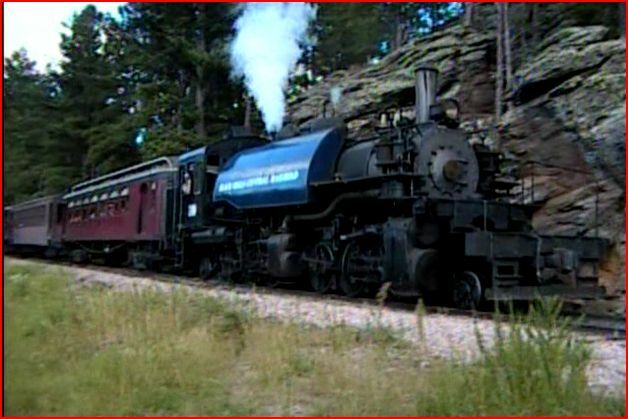 The Black Hills Central public address announcement is made, and the return ensues. 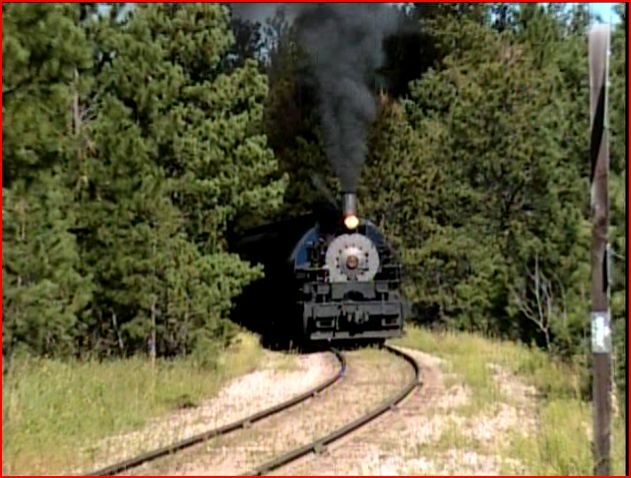 Running with the engine in reverse, this is mostly an uphill run. This show is value priced, as are the other DCP releases. 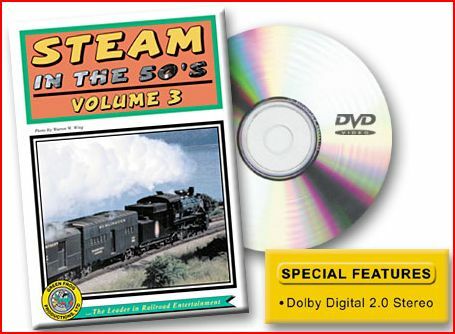 Buyer’s receive a fine, basic train program on DVD-R. Housed in a slimline plastic case. DCP has upgraded the labeling, with directly labeled discs. 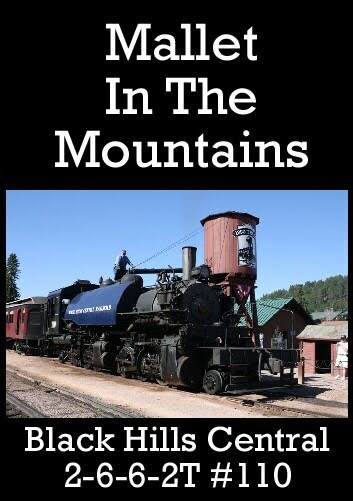 Mallet In The Mountains is a fine program. 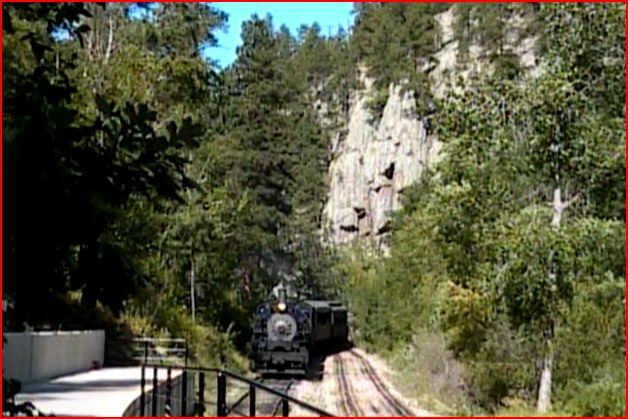 The Black Hills Central is located in a highly scenic region. The ultra rare compound Mallet is worth the price of admission. 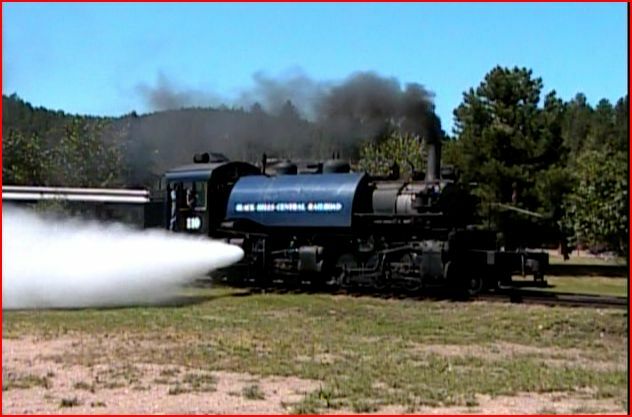 If you find this type of steam engine compelling, check out some logging lines shows too. This one is tops for the cinematography. DCP really has a winner here. This is a nice entry point, to watch one of their best productions. 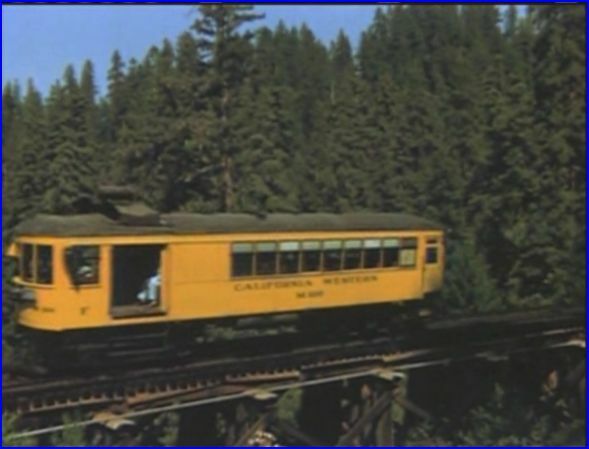 Diverging Clear has a wonderful program. The whole family would enjoy this tourist line.